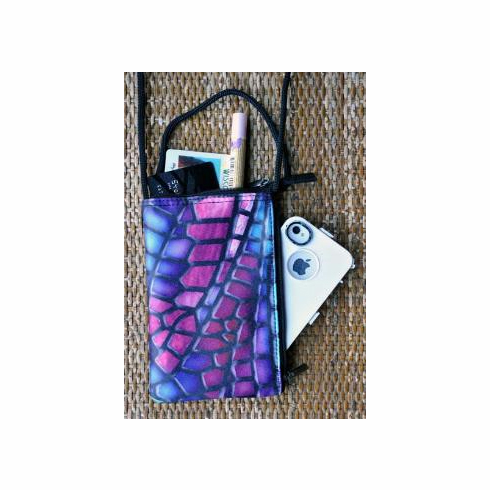 Dragonfly Wristlet - Carry it on your wrist or shoulder. An ideal way to carry your smartphone complete with protective padding. The fabric is a dragonfly wing closeup printed on micro fiber, 75% cotton, 25% poly. Measures 4.25" x 6.5"